The pelvis, hip and groin is a complex region of the body, with multiple pathologies co-existing and large forces being generated and absorbed through this region during almost all sports. Many local structures can generate pain in this region, and to further complicate matters, there are a number of structures that can refer pain into the area. Perhaps nowhere else in the body is there currently a wider gap between the teachings of clinical practice and scientiﬁc fact. “The Sporting Hip & Groin” is an attempt to blend the latest research, the opinion of experts in the ﬁeld, and the lecturer’s personal experience of current clinical concepts, to marry the art and science of management together in a clear and understandable way. abdominal related and hip joint related groin pain. • To include a clear understanding of pattern recognition in the history taking. • The reliability and validity of physical examination testing. • How the functional anatomy and biomechanics relates to the pathologies seen. • An understanding of how normal and faulty movement can relate to pathology. Doelgroep van de cursus : Kinesitherapeuten, sportkinesitherapeuten, manueel therapeuten, chiropractoren en sportartsen. James Moore is currently employed by The British Olympic Association (BOA). For the XXXII Olympiad Tokyo 2020 James will be The Head of Performance, coordinating & delivering all science and medicine strategies. Concurrently, James is the Sports and Exercise Medicine Director for a private clinic in Harley Street, The Centre for Health & Human Performance (CHHP). 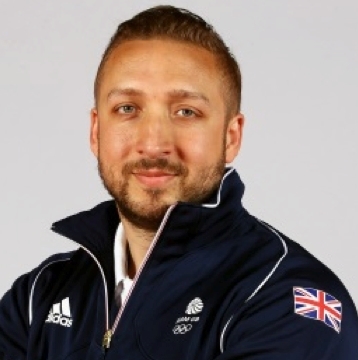 James has been fascinated by hipmechanics for over 15 years and also loves teaching about lower limb mechanics and injurymechanisms, in particular with a special interest in hamstring injuries and speed development. Recently James has become a PhD candidate at University College London (UCL), under the supervision of Professor Fares Haddad. James will build a mathematical model around the hip to investigate whether muscle force and joint angles have a contribution to function. 9 available	 sporting hip - 13-14sept19 €500,00 50€ (excl btw) cateringkosten inbegrepen in vermeld bedrag.